The world of supplements does not tolerate emptiness. At a time when one substance is blocked by sanitary regulations, another twin immediately appears. This is also the case for prohormones, gab modulators, or substances found in pre-workout supplements. Just today we will be talking about the latter group of supplements, specifically the ingredients of the pre-workout products. Famous DMAA (geranium, geranamine, ginseng extract, 1,3 dimethylamylamine or methylhexanamine) is a neurotransmitter that has a thermogenic action. As you know, the substance is banned in many countries. DMHA (2-Aminoisoheptane) comes in handy for those who like sharp, hard workouts. The history of 2-aminoisoheptane is obvious, it was invented as a means for asthmatics acting diastolic bronchodilator. In the supplements there is a form with "6". It is widely used for simple reasons, holds research and costs less. It is believed that DMHA may be a suitable alternative to other stimulants such as BMPEA (acacia rigidula) citrates and AMP for DMAA. DMHA as 2-amino-6-methylheptane seems to be fully synthetic. Previously it was thought that it naturally came from a plant called Aconitum Kusnezoffii, which is in fact very toxic and the poison contained in the plant was often used for hunting. It would therefore be extremely costly to clean, receive and process a natural compound. However, if you look at the 2-amino-5-methylheptane version, it is a naturally occurring substance in the Juglans Regia tree bark. However, as we have already mentioned, it is too unprofitable to use this version of the compound as a stimulant. They are very similar to DMAA , but the total dosage used is higher. DMHA acts as a bronchodilator, increasing our oxygen capacity, and it also has shrinking activity (narrowing the blood vessels, causing an increase in the rate of oxygen flow), does not cause "stupefying" and sharpens the senses which could not always be felt at the dmaa. It has also been shown to increase dopamine and noradrenaline concentrations. Thanks to DMHA people feel the increased pain threshold (the same pain will be less noticeable after taking the substance). Essentially the substance reduces fatigue and allows for a significant increase in intensity of exercise. 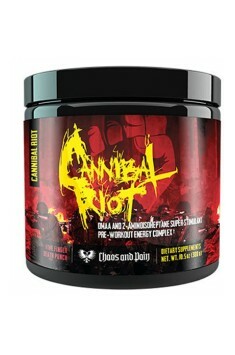 Increases concentration and suppresses appetite. DMHA can cause heart rate rise, blood pressure rise and shortness of breath. An effective and safe dose of DMHA is 1mg/kg of body weight. It is recommended to apply 30-60 minutes before workout, 2-3 hours after the meal.